Markings on this knife include "Stainless - Taiwan - Pat:49737" on one side of the tang and Fury Tactical logo on the other. 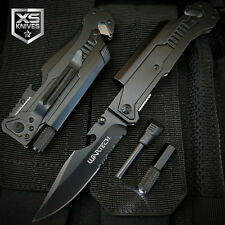 Mini-Para Trooper Knife. This knife is a downsized authentic replica of a German World War II Era Soldier's knife. 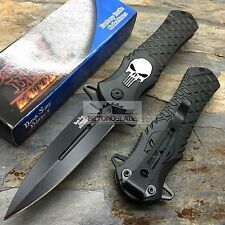 BLACK ALUMINUM HANDLE WITH PUNISHER. Spring Assisted Knife. 4" 3MM THICK BLADE, STAINLESS STEEL. BLACK BLADE. Spring Assisted Knife. TWO TONE HALF SERRATED BLADE. 3.5" 3MM THICK BLADE, STAINLESS STEEL. Made in china with German styling. The blade is AUS 8CR15MoV high-carbon stainless steel with a bead-blast finish, which gives an ideal combination of toughness and edge-holding ability in a work knife, and also allows easy field-sharpening. SOG Powerlitre PL1001. Needle Nose Pliers. Bottle Opener. Can Opener. Flat Screwdriver (Small). Line Cutter. Wire Cutter (Hard). Wire Cutter (Soft). 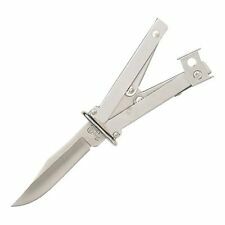 EXTRA LARGE SPRING ASSISTED STILETTO FOLDING KNIFE. 6" STAINLESS STEEL BLADE. INCLUDES POCKET CLIP. BLACK ALUMINUM HANDLE. SOG PowerPint MultiTool PP1001-CP. Needle Nose Pliers. Bottle Opener. Can Opener. Flat Screwdriver (Small). Blade (Straight Edge). Blade (Fully Serrated). Locking Blade: Yes. Crusader Forge Apex Tanto with Phantom Finish. A lot of Crusader Forges seem to have issues with things like lock stick or other issues. I know because I've had a lot of them with issues. 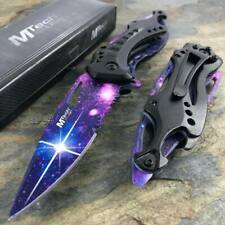 However, this knife is one of the ones without any issues. The Kershaw Dividend Knife is a smaller scale, slim version of the popular Kersaw Link. The slim gray anodized aluminum handle, 4.25" closed, has steel liners and a decorative molded backspacer for strength, a liner lock, lanyard hole, and a four position pocket clip. Made in the U.S.A., this Folding Hunter pocket knife is made of 420HC Stainless Steel and Macassar Ebony Diamond Wood Handle. This Buck Knives BK110BRS-B FOLDING HUNTER is 4 7/8 inches. Included with this knife is a Genuine Black Leather Folding Belt Sheath. The Sheath is BUCK Knives 110 Embossed. 026615012900. MODEL NUMBER: 9705. ABOUT CRKT Blade finish: Tumbled Finish. No one will know it’s there. This is concealed carry that fits on a keyring. Handle Glass reinforced nylon. Key Features. Model 6530SW. 3.75" closed. 2.75" black stonewash finish 8Cr13MoV stainless blade. Black GRN handle. Pocket clip. Lanyard hole. Steel: 8Cr13MoV. 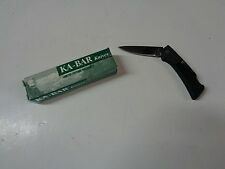 Blade Length: 2.75". 4 3/8" closed lockback. Stainless blade. Bone handle knives are made with cow bone. Yes, we combine orders! SPRING ASSISTED KNIFE. Not a Actual Butterfly Knife! NOTE: This is NOT an automatic or push-button knife! The blade is opened using the finger or thumb stud that is visible on the blade itself! 3.75" 3CR13 STEEL BLADE. Black Handle - Stonewash Tanto Plain Edge. 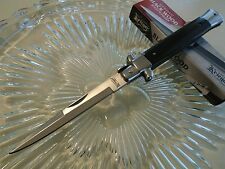 Pro Lite Knife. Cold Steel. Blade Length: 3 1/2". Blade Thickness: 3mm. Handle: 4.5" Nylon (Fiberglass Reinforced). Steel: 4116 German Stainless. Thumb Stud. Drop Point Blade. 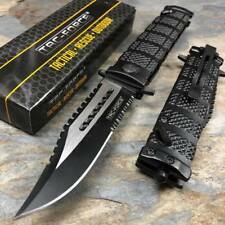 Blade Length: 3.625". Plain Edge. Blade Thickness: 0.15". Blade Material: CPM-S35VN. Cutting Edge: 3.50". Handle Material: Black G-10. Lock Type: Inlay Liner Lock. Blade Length: 3.45”(88 mm). Liner Material: Stainless Steel. Blade Thickness: 0.13”(3.2mm). Blade Grind: Flat. Blade Material: Japanese VG-10. Blade Hardness: HRC59-61. Pivot Cap: Stainless Steel. Blade Length 4". Plain Edge. make Supersized seem small. Leaf Spring Lock Liner Lock. Clip Point Bade. Manual Opening. Black GFN Handle. Steel 8Cr13MoV stainless. D2 Tool Steel. Thumb Ridge. Satin Finish. Blade: 3.5". Handle: Black. Standard Edge. Pocket Clip. SwissTool Spirit plus Multi Tool. Wire Bender. Swiss Army Knife. Nylon Pouch. Needle Nose Pliers. Multi-purpose Hook. Stainless Steel Handles - Combo Edge. Bit Wrench. Kershaw "Clash" Tactical Spring assisted knife. 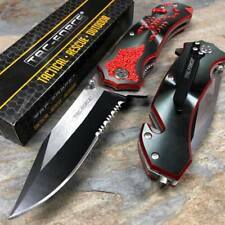 Excellent quality knife with razor sharp blade. Knife weight: 4.3oz(122gms). Hi! Welcome to Weaim2pleez. Here is a Ruike P801 Framelock Knife. Measures 4.75" (12.1 cm) closed with 3.5" (8.9 cm) 14C28N stainless standard edge blade. Stonewash finish. Stonewash finish 3Cr14 stainless handles. Extended tang, thumb stud and thumb ridge. Includes pocket clip and lanyard hole. Item #rkep801sf. BRAND NEW in box! BUY IT NOW!! . "BROWNING" Tactical Folding Knife. Excellent quality knife with very sharp blade. Weight of the Knife is 3.4oz(97gms). MODEL NUMBER: 001004. Opinel Knives - 4 3/8" closed. Model: OP01004. 3 1/8" stainless blade with crowned hand hallmark etching. Olive wood handle. Safety ring for locking the blade. Natural wood display/storage box with plexiglass lid. 4.75" closed. 3.63" 8Cr13MoV stainless blade. Brushed stainless handle. Extended tang. Pocket clip. Satin and brushed finish blade. Designed by Matthew Lerch. Bone handle knives are made with cow bone. Buck Knives does not warrant its products against normal wear or misuse. • Extras: Genuine Leather Sheath. Buck Forever Warranty. • Handle Material: Genuine Ebony Wood By Taylor Guitars. Buck Forever Warranty. Model #: C122GBBKP. The blade's shape, coupled with an oversized Spyderco Round Hole, position the hand for instant and confident blade opening. A black 4-way pocket clip lets the folder be set in a variety of carry and draw positions: Tip-up/tip-down left-hand/right-hand. Model #: 01MB102. Blade Steel: 440C Stainless Steel. Bok er Magnum LE. The gentle curves, 440 stainless steel blade and aluminum. handle with brass pins provide a simple elegance. Single edged blade. Finish Black TiNi. SOG Knives Vulcan Mini Knife VL-12. Blade Length 3" x. 125". Edge Straight. Steel VG-10. Get Supersized Images & Free Image Hosting. Country of Origin Japan. Includes Reversible Pocket clip. Each one is bought from an authorized master distributer located in Virginia. Assisted opening. 4.5" closed. 3.5" black Tungsten DLC coated 14C28N Sandvik stainless blade. Black anodized aluminum handle with black Trac-Tec insert. Benchmade 535GRY-1 Bugout folding knife features a CPMS30V (58-60 HRC) grey stainless steel blade with plain edge coated finish. Benchmade 535GRY-1 Bugout folding knife also features a drop point blade style, plain blade edge, mini deep carry clip type with reversible clip position and lanyard hole. Buck Knives 112 Ranger Drop Point Charcoal Dymondwood in BOS 5160 High Carbon Steel -Factory Exclusive. Buck Knives does not warrant its products against normal wear or misuse. • Blade: 3" Drop Point 5160 High Carbon Steel. 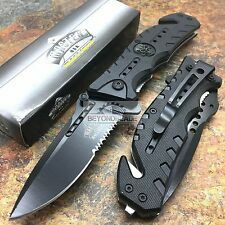 Kershaw Skyline Knife 3 ⅛" 14C28 Stainless Steel Blade & Black G10 Handle 1760. The illustrated Kershaw knife is the Kershaw Skyline Knife that features a 3.1" drop point blade made of Sandvik 14C28N stainless steel. Blade Material: D2. Blade Grind: Flat. Manual Knife. Blade Style: Drop Point. Thumb Stud. Camp/Hike Knife. Blade Length: 3.00". Blade Thickness: 0.09". National Knives, LLC is a Factory Authorized Spyderco Dealer! It features a full-flat-ground blade in either PlainEdge™ or CombinationEdge™ crafted from 52100 tool steel. Best known as the steel used in ball bearings, 52100 was traditionally used only by bladesmiths who could forge it by hand. This is the Kershaw Leek with plain edge silver blade. Most of these blemishes are very hard to notice. As a blem there are 4 X's etched into the blade to mark it. That makes this a great EDC knife especially if you already own one for your collection. Model 53388. Climber - Stay Glow. Climber features Victorinox Original Swiss Army Knife. cap lifter with. WE ARE an Authorized Victorinox Original Swiss Army Knife Distributor. Swiss Army Knife. Swiss Made. Partially Serrated Edge. Thumb Stud(s). Features the AutoLAWKS knife safety system. Blade: 8Cr13MoV. Tanto blade. Pocket Clip. These areNOT hand-made. not open, loose, wound coil. These are professionally manufactured with tight wounds using the best wire. These are much better than the original springs. I have never had one to break or bend.Buy the best at a great price. Native American Navajo Multi Stone Inlay Pocket Knife, 3"